Amanda Horrell is a clinical pharmacist from Whitwell, TN who now resides in Byhalia, MS with her husband Wilson Horrell and two children Andie Kate and Grayson. She grew up on an angus farm and commuted to Chattanooga, TN for school and basically everything else in life. She attended Chattanooga Christian School, the University of Tennessee Chattanooga for her undergrad and Union University for her Doctorate in Pharmacy. Amanda started running a little over two years ago as well as CrossFitting. Through these two things, she is learning to love herself a little more each day. She also sees herself becoming a stronger person both physically and emotionally each day. Running competitively is something she knows will never be able to attain but just running the races and crossing the finish line is a solid victory to her. Surrounding yourself with the right people can help you in so many ways. She’s always been a negative person, a glass half empty girl but since joining a community of people who have positive attitudes, she is singing a different tune. She attributes most of her transformation to her husband, Wilson, who ‘is the most positive and upbeat human being I know.’ He wakes up of a morning with a huge smile on his face and he goes to bed each night with a smile under his CPAP mask. She strives to be more like him and exude positivity, approach all situations with a calm demeanor. Past relationships were NOT like this at all and it was a breath of fresh air to meet Wilson and others like him in the Olive Branch Crossfit Community and the running community. Each day she becomes happier with life. The past doesn’t haunt her as much as it used to and the future looks bright ahead. Nothing but good things to come. 3:00-10:00 We ask listeners to send in stuff for the set. Von gets over his fear of reading and tries to rent out the studio for “dirty movies”. 20:00-30:00 Amanda starts CrossFit after finding herself spending too much time on the couch with her dog and Little Caesar’s pizza. 30:00-40:00 Amanda and Wilson discuss how they met and fell in love, as well as Amanda’s passion for her job as a clinical pharmacist. 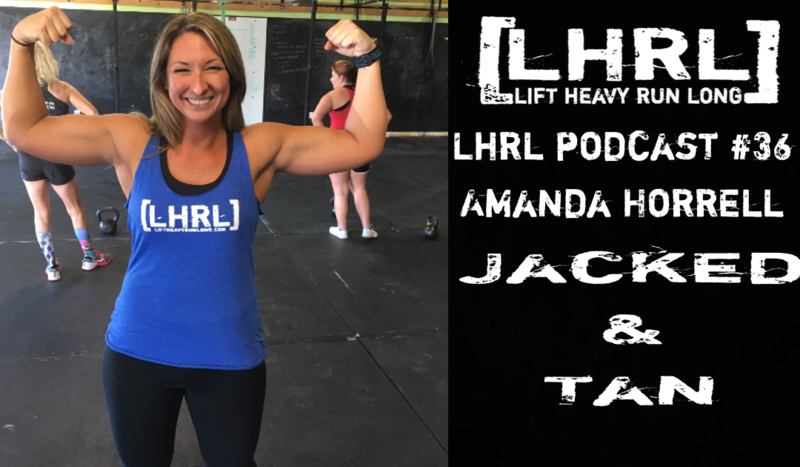 40:00-50:00 We talk about the role that Amanda has played in becoming a mother to our children since she entered their lives. We discuss her goal of becoming part of the 50mile/300deadlift club. 50:00-60:00 Amanda’s entry into the running and endurance world. 1:00:00- ending Amanda COMMITS to running another 50mile race!